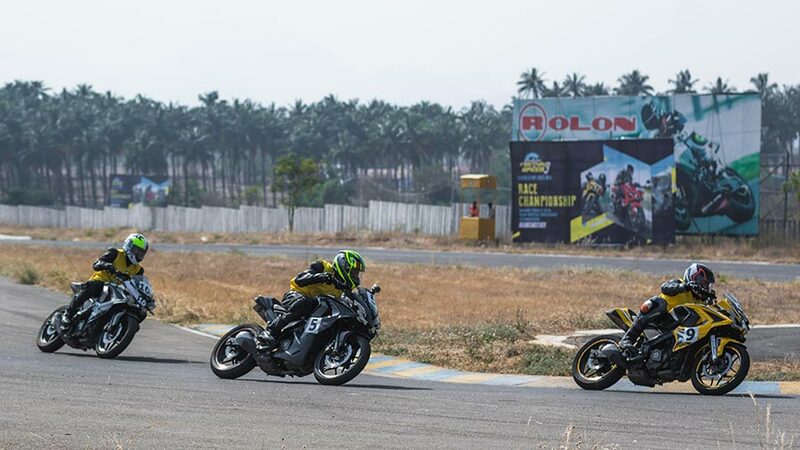 Bajaj Auto, the leader in sports biking category hosted the grand finale of the third season of the highly acclaimed Pulsar Festival of Speed in Kari Motor Speedway Race Track in Coimbatore. With the latest edition going bigger, Pulsar fans experienced never like before excitement and thrill. 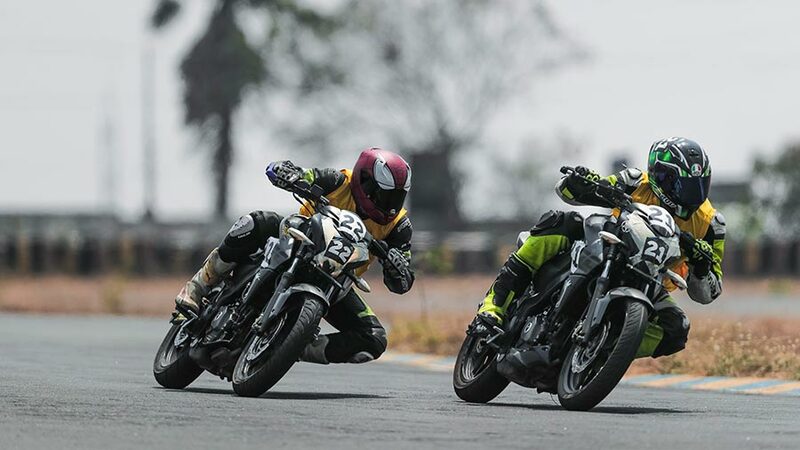 The festival gave biking enthusiasts a chance to indulge in professional lap racing, India’s first Stunt Championship and exclusive training sessions with professional racers like Emmanuel Jebaraj and Kartik Purushothaman. The festival which commenced from 23rd December’17 onwards in Gurugram, was also successfully hosted in Hyderabad, Mumbai, Pune, Bangalore, Chennai and the finale was hosted in Trivandrum & Coimbatore. 6 racing finalists and 1 stunting finalist were selected from each city to compete for the grand finale after undergoing rigorous training from professional experts. 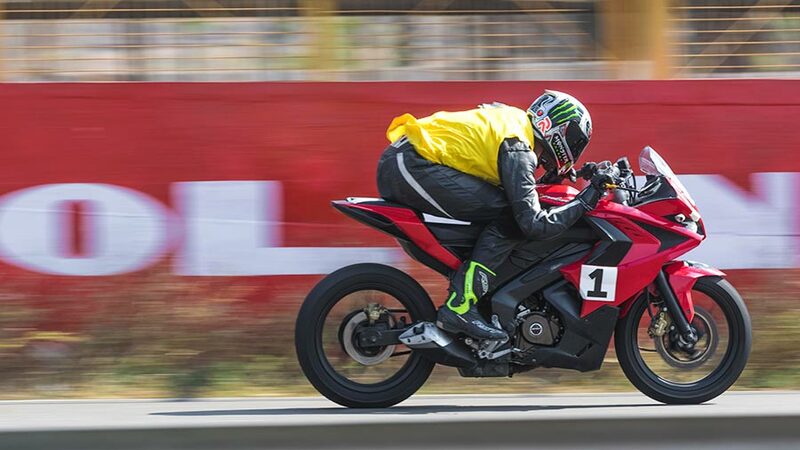 Satyanarayana Raju was announced as the Champion of India’s third season of track racing championship in the coveted RS200 Category category and was felicitated with the coveted Pulsar Cup. He was also presented with Rs 50,000 as cash prize. First runner up in the same category Yashas RL was awarded Rs 25,000 cash prize, while the second runner up Mohammad Shagun took home Rs. 15,000. Similarly, Sachin Khengle was awarded with prize money Rs 50,000/- to win India’s first Stunt Championship title. 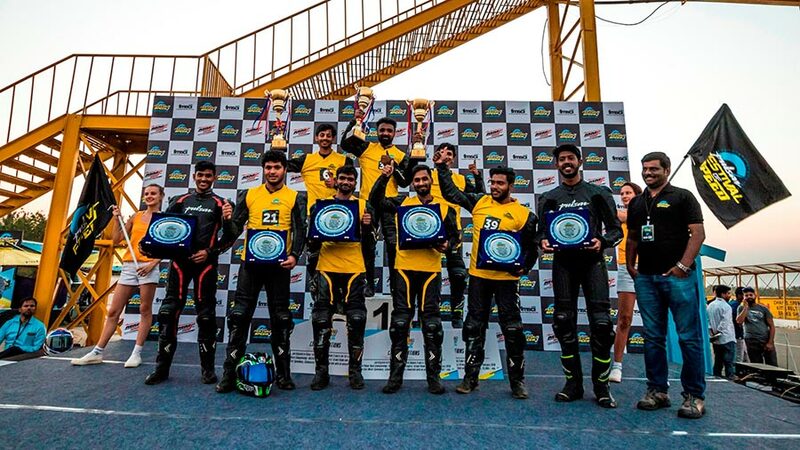 Kalaithamizhan and Rohit Shinde were announced the second and third runner up and took home prize money of Rs 25,000 and Rs 15,000 cash respectively. Apart from races, the festival offered a fun filled day with Pulsar experience zone, burn out zones and exclusive display of the Black Pack Pulsars lineup, thrilling stunt shows by Ghots Ryderz. Separate races were held for different variants of Pulsar viz. RS 200, NS/AS 200 and 220F. We are extremely delighted that the third season too has witnessed spectacular success. The first two seasons saw overwhelming footfalls but the third season saw remarkable footfalls crossing 15,000 across all the 6 cities. We congratulate all the winners and we hope that not just participants but audience too had a good time. Pulsar Festival of Speed is getting bigger and better every year.